$50 off $150 is 33% off, whereas last time they ran it, it was $60 off $200 for 30% off. 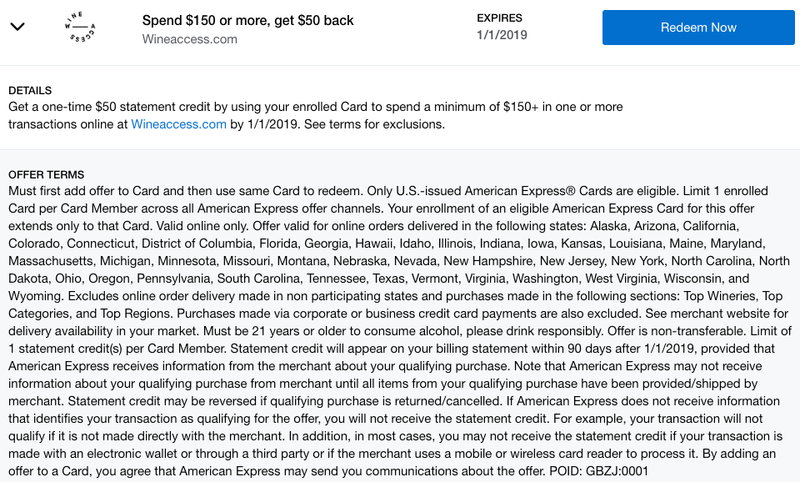 But Amex changed how Offers worked recently. 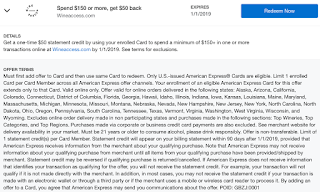 Whereas before you could add the offer to each Amex card, you can only add the offer to one card per social security number now. That limits the useful scale of the deal, though between you and your spouse you can still get some leverage out of the deal. Revisit my previous post on the deal for tips on how to maximize it. The key is catching wines you like when they offer them. Their model is such that they have some wines on an ongoing basis, and others as limited time offers. I've been very pleased with their short-time offers, espeically the 2014 Black Kite Gap's Crown Pinot Noir.